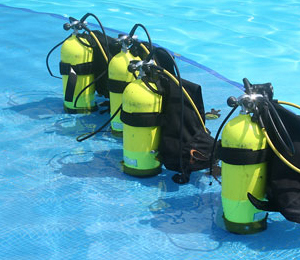 One of the great places for diving around the U.S. is the Key West area, and the Vandenberg is one of the highlights. Quite often, decommissioned ships are used to create artificial reefs andndash; and amazing dive sites. In May, 2009, the USNS Gen. Hoyt S. Vandenberg became the second largest vessel in the world sunk to create an artificial reef. 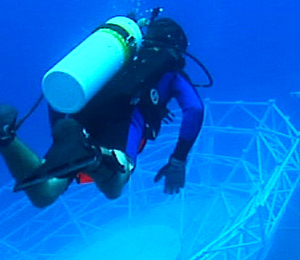 Her 522 feet rest on the bottom in the Florida Keys National Marine Sanctuary. 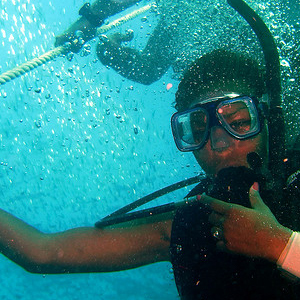 At ten stories high, she has sites to offer from 40 to 140 feet deep, and a range of marine life to go with them. When created correctly, an artificial reef provides a habitat for marine life and control erosion. 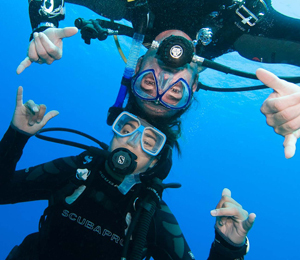 In Key West diving areas, they also serve as fascinating structures for divers to explore. In addition to physical modifications, the Vandenberg’s role as a reef means that plants and animals grow on, and around her surface. Pelagic fish use her as a hunting ground, seeking the small reef fish and marine plant life that inhabit her structures. The Vandenberg was planned as a diving excursion, and she was slightly restructured while afloat to create areas of interest all along her structure. The kingpost and foremast are favorite spot for photos, and make a great rest stop. Farther aft, the bridge is easy to identify, as are the attention-grabbing radar dishes. Look for the numerous fish that seek protection in the radar dishes’ intricate form. Even the lowly smokestacks are a wonder when viewed through a veil of fish. Although the external parts of the ship are highly popular Key West diving sites, for divers certified in light-wreck penetration, the interior of the vessel is another amazing dive. Holes through the hull to sink the ship now provide access to the many holds, stair towers, hallways and elevator shafts. At nearly two football fields in length, the Vandenberg is too big to be seen in one dive. Key West diving fans will plan multiple visits to fully appreciate her beauty and mystery. Those with a particular interest in marine life will enjoy the varieties of fish ranging from deep-water types to those that prefer shallow waters. Underwater photographers will have no shortage of excellent shots whether they prefer structural or swimming subjects.